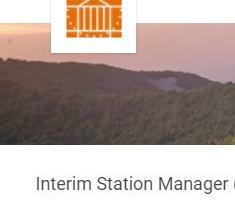 Now Hiring: Interim Station Manager - Summer and Fall 2019 | Mountain Lake Biological Station, U.Va. Mountain Lake Biological Station (MLBS.org) is searching for a temporary, leave replacement, Station Manager to run our office and manage operations at Mountain Lake, July - November 2019. Questions about the position? Contact Associate Director Eric Nagy.